Rather than using a fixed FVE, value investors rely on a range of FVE’s based on the assumptions and methods used. With a range of FVE’s in place, the Buy decision can be based on a margin-of-safety around the low-point of the FVE’s and the Sell decision when the market value approaches the FVE. Macro environment can cause the overall market to stay significantly undervalued or overvalued for extended periods of time. In times of market undervaluation, it is easier for value investors to stay fully invested while the reverse is true during periods of significant market overvaluation. Hanging on to cash under such circumstances can result in value investors missing out by a long chalk as cash holdings rarely provide significant returns. This, in essence, is the bane of long-only value investors. a) Open-Ended Risk: The losses can be limitless while the returns are capped as the stock cannot dip beyond zero. For e.g., the maximum profit from shorting 100 shares of a $50 stock of ABC is 100% of the proceeds received when shorting ($5,000) – realized if the stock goes to zero. On the other hand, if the stock goes to $150 and the decision is to close the position, the loss is 200% of the proceeds received when shorting ($10,000) – theoretically, the losses have no limit as there is no ceiling for the stock price of a company. b) Costs: Several expenses are associated with shorting stock - the fees the broker charges for borrowing the shares, dividend payment on short position, and margin costs. A part of the cost may be offset if interest is earned on the short proceeds. The cost increases as the position is held for extended periods of time. 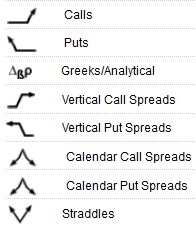 a) Short Puts: Short puts involve selling put options on a stock at a particular strike price. The expectation is that the stock will stay above the strike price during the option period allowing one to pocket the premium realized as pure profit. But, one is obligated to buy the stock, if and when assigned. Hence, it is best to write cash-covered puts – meaning one has the liquidity to buy the stock at the strike price. Short puts are a way for value investors to potentially enter a stock at a price they wish to enter. For e.g., say the FVE indicates stock ABC is a good value at $30 or below and the stock is currently trading at $35. An option in this scenario would be to sell put options on ABC at $30. If the stock stays over $30, the investor gets to keep the premium received. But, if it went below $30, most probably the stock would be assigned and the investor would own the shares at $30. The downside is the value of the position at the strike price, if the option was assigned. For this reason, it is best to view short put positions as though one is long on the stock at the option strike price in an amount equal to the contract size – if the sale were for 5 contracts, assume one is long 500 shares. b) Long Puts: Long puts involve buying put options on a stock at a particular strike price. Though the put premium needs to be paid out, it provides protection, if the investor owns the underlying shares. For e.g., say one has ownership of a stable stock XYZ at a cost-basis of $25. The stock is currently trading at $50 and the investor still thinks there is a good margin-of-safety at the current price. But, since the stock has gone up, there is an urge to protect the gains. In such a situation, long puts are value investors ally. It provides a way to protect the gains against a stock decline for the price of the premium, while keeping the upside intact. c) Short Calls: Short calls involve selling call options on a stock at a particular strike price. The expectation is that the stock will stay below the strike price during the option period, thereby allowing the investor to pocket the premium realized as pure profit. But, the investor is obligated to give away the stock at the strike price, if assigned. Hence, it is best to write covered calls – meaning one is long the underlying stock in an amount equal to the contract size – if selling 5 contracts ensure one is also long 500 shares. For value investors, short calls allow a way to realize periodic income on a stock. The strategy can be used against one’s long positions when the overall market and the stocks involved are fairly valued or over-extended. One is spared from selling the stock as it is unclear how long the macro situation will prevail. In this scenario, using covered calls help realize periodic income, embellishing one’s returns. d) Long Calls: Long calls involve buying call options on a stock at a particular strike price. The expectation is that the stock will go well above the strike price during the option period, allowing one to realize potentially huge profits in a short period of time (option period). Should the stock stay below the strike price, the call premium is lost. Value investors can apply this strategy with stocks that have a chance to go up significantly over a short period of time, should an anticipated event occur. For e.g., say the stock of a company, known to have a history of blowing past earnings expectation once every few quarters, is trading at $100. Research has narrowed down on the fact that the coming quarter is one of those quarters. In this situation, value investors can opt for long calls covering the quarterly report at a strike price of $100 for say $10. If the stock moves as expected to $130 immediately after the earnings release, the money invested have tripled. On the other hand, if the investor were to go long the same amount of shares at $100, the returns would have been just 30% following the quarter report and stock move.